Just when I thought I had the lightest stove possible something comes along to shave ounces! Roman from Lighthiker&apos;s blog has an excellent review of this new stove. 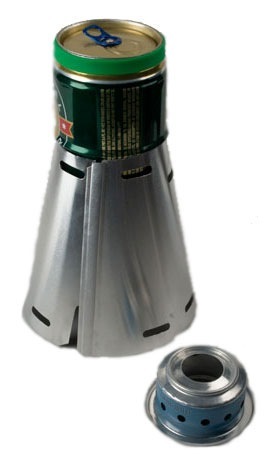 It&apos;s basically a recycled beer-can as the pot – with a Lance Armstrong style silicone wrist-band on top as a ˜pot&apos; holder. The weight of the pot, cone and the stove come in at a staggering 2.7 oz. However, the full package weighs in at 6.9 oz, which isn&apos;t that great. If you look at the details – the wrist-band adds an ounce, a half-ounce for the lid and cozy and over 3oz for the ˜carry-case&apos;. I was sold until the 3 oz carry-case came into the picture. While this does double as a 2nd bowl – it&apos;s way to heavy compared to my 0.6 oz disposable tupperware container. 2.4 oz for cone-crush insurance isn&apos;t worth it in my book. This entry was posted in Backpacking, Cooking, Gear Reviews on September 29, 2008 by brett. I got to use my new Caldera Cone Stove on a few trips this summer. It has been my first time relying on an alcohol stove in the wild. It&apos;s somewhat fragile and needs to be well looked after. The cone section is very thin and dents easily. The best option I came up with is to wedge it in my sleeping pad for protection. The flame is very hard to see in daylight. 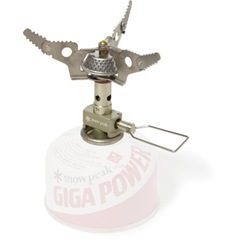 The stove lights best if you put a few ml of fuel in the outside primer ring and light that first. Feel like it wastes fuel, but maybe I need to get better at using less. Can take only as much fuel as I need, further reducing weight. This helps in my mind compensate for liquid weights vs. compressed gas weights. Easy to conserve fuel by using less to make hot drinks etc – no need to bring the water to boiling point. The biggest unexpected pro for me is that, it&apos;s a set it and forget it  stove. 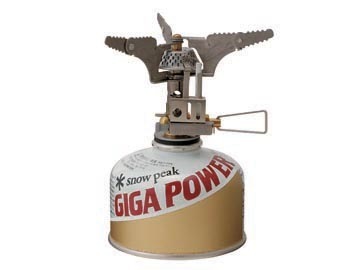 With my canister stove – I used to have to wait for the water to boil and then shut it off. With this, I can measure the exact amount of fuel I need to get a boil. I light it and walk-away, when the water is boiled the fuel burns out and it turns off. I can come back later and simply pour the water into my dehydrated meal and I&apos;m off. Nice way to multi-task at dinner time. So far – the pros far exceed the cons, and I&apos;m really happy with it. 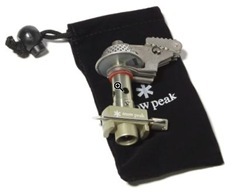 It looks like Snow Peak officially shipped the new LiteMax stove. It&apos;s a wicked little stove at 1.8 oz. If I hadn&apos;t already converted to an alcohol stove, I would be first in line to snap this guy up. This entry was posted in Backpacking, Cooking, Gear Reviews on June 25, 2008 by brett. I&apos;ve been considering the plunge into alcohol stoves for a few years now. My brother made me a pepsi can stove a few years back. I haven&apos;t quite struck up the courage to rely on it yet. 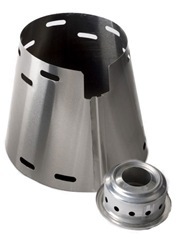 Several people have recently mentioned to me how impressed they are with the Caldera Cone ™ System. OK.. I&apos;ll bite, so what would it take to make me switch? The windshield is the biggest offender, and I often tell myself to leave it home, but I rarely do. As I already have a BPL 550 pot, they make a cone custom to for this pot – which seems like the way to go. The cone & stove weigh just 1.7 oz. Given that the cone is a natural windshield this saves me a whopping 4 oz! I suspect I could get more mileage on a 7 oz bottle of alcohol than I could in the 7 oz fuel canister. For just $30, this might be an experiment I&apos;m willing to tinker with. This entry was posted in Backpacking, Cooking, Gear Reviews on March 10, 2008 by brett. A pot to be reckoned with. 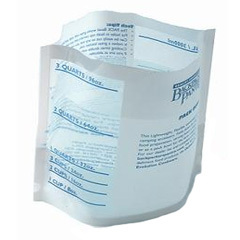 This little fellow weighs in at a mere 2.5 oz and holds about 2 cups of water – which is the perfect amount for most freeze dried food bags. I replaced my old pan set for this earlier this summer and have been thrilled with its performance. You have to take a little care as its walls are very thin and so it can get bent out of shape easily. Available from BackpackingLight for $27. This entry was posted in Backpacking, Cooking, Gear Reviews on December 15, 2007 by brett. Looking to spice up your no-cook trail breakfast? Instead of boring old dried milk – which is usually non-fat (unless you use Nido), give this is try on your Granola. It vastly improves the flavor of the granola and packs a whopping thirteen extra grams of fat. I suspect this will be a new staple for me at breakfast time. Credit for this brilliant idea goes to Freezer Bag Cooking, where I read the tip. 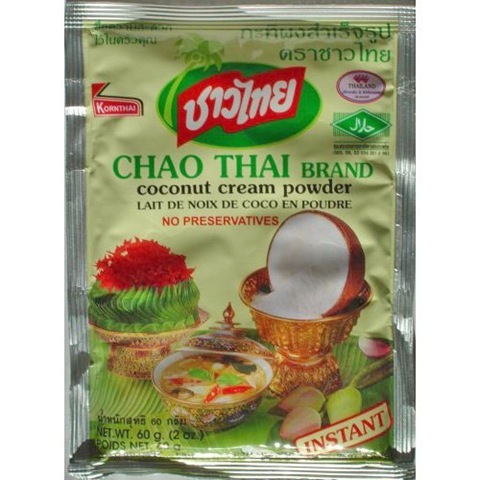 I bought my Coconut Cream Powder from Import Food online. This entry was posted in Backpacking, Cooking, Food Reviews on December 5, 2007 by brett. In the world of software development The Mythical Man Month proposes the notion of a project triangle. Where the three points of the triangle are Quality, Time to Market and Features. You can pick (at most) any two you want and do them really well, but the other one suffers. Want lots of features, with high-quality – it&apos;s going to take a long time. Want something quick with lots of features? It&apos;s going to be buggy. I think a similar triangle exists for backpacking food. The three points are – Lightweight, Tasty and Fast to Prepare. 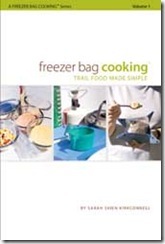 Freezer Bag Cooking in an excellent site that appears to deliver on at least two of the key points: Fast to prepare and Tasty. However they don&apos;t appear to be lighter than store bought de-hydrated cardboard tasting goop. Still, I really dig the site – the idea of home-made backpacking meals that very easy to prepare in the field and taste really good probably has it&apos;s place on shorter trips. I have not tried any of their recipes yet – but I intend to. 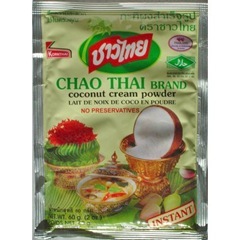 If only they would invent a Thai Curry freezer-bag recipe, then I would be in heaven. This entry was posted in Backpacking, Cooking, Food Reviews on November 9, 2007 by brett. I know what I&apos;ll be asking Santa for this Christmas… except it doesn&apos;t ship until May 2008. Snow Peaks website lists this stove as weighing in at 3.3 oz – which isn&apos;t that great. However, I&apos;m hoping it&apos;s a typo. Earlier this year Backpacking Light saw this stove at a trade show and reported it as weighing 2.15 oz. This entry was posted in Backpacking, Cooking, Gear Reviews on November 4, 2007 by brett. Q: What food do you pack for 6 days on the west coast trail? Read on for my full menu. This entry was posted in Backpacking, Cooking, Food Reviews on August 26, 2007 by brett. Tim got me started on this… I don&apos;t normally drink coffee on the trail, and to be honest, I have never really missed it. I do drink it daily at work, and Tim wants coffee on the West Coast Trail trip. I&apos;m always up for a new "Obsessive Compulsive Disorder" mission to squeeze into a spare hour here and there. So what, are the options? This entry was posted in Backpacking, Cooking, Food Reviews on August 21, 2007 by brett. 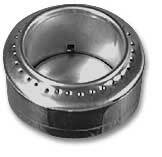 One modification I just made, was to replace our 2nd Titanium Panset with this simple lightweight "Pack Bowl". Normally we boil water in one pan and use the 2nd to serve food in, or eat breakfast in. It never hits the stove. This collapsable bowl can be trimmed down to size and holds boiling hot liquids. I trimmed it down to the 1 quart mark and it weighs in at 0.6 oz. The 2nd panset was 5.0z, so I&apos;m trimming a staggering 4.4oz off my gear list with this addition. Available from Backpackers Pantry – $6 for a pack of 4. We stopped using this as we found it&apos;s large size to be a little annoying. We have since just taken a simple disposable glad tupperware bowl and cut the heavy rim off. 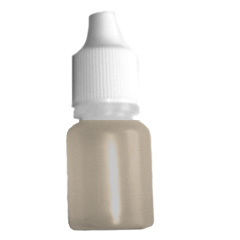 This has worked really well, and comes in a little less as 0.5 oz. This entry was posted in Backpacking, Cooking, Gear Reviews on July 17, 2007 by brett. Tomorrow night I&apos;m hiking up Mt. Si. with Tim from work. It&apos;s a late evening sunset hike with descent in the dark for Mid Summers Eve. 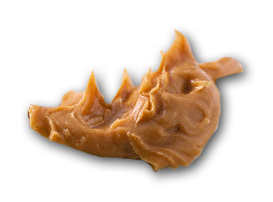 I&apos;m planning on taking Moose Goo with me, and it reminded me to post the recipe. This entry was posted in Backpacking, Cooking, Food Reviews on June 19, 2007 by brett. In an endless quest to get lighter and lighter in my gear selections, (and prompted by a recent post on backpacking.net) I finally turned my attention to alcohol stoves. 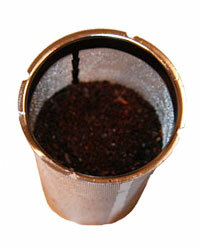 Read on to learn about my pepsi can stove that weighs less than half an ounce. This entry was posted in Backpacking, Cooking on September 24, 2006 by brett. I&apos;ve dug all over the Internet for sample backpacking menus that provide enough calories but don&apos;t cost a lot of weight. I have had little success finding good suggestions, so if you have any post-away. Here&apos;s what we typically take on a 3-day trip to feed two of us. We love food, so splurge on a few luxury items on day 1 like apples that are heavy but consumed quickly. This entry was posted in Backpacking, Cooking, Food Reviews on September 20, 2006 by brett. Looks like just another water carrier, huh? Not so… This little dude carries 2 liters and packs in at only 1.2 oz.. Significantly lighter than that Nalgene bag or worse the big plastic bottles. 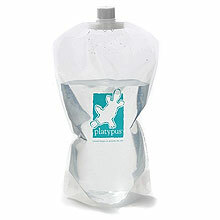 We use this to carry spare water if we need it, and to treat our water. As we use a chemical treatment for purification, we fill this bag up in a lake or stream, drop a few MicroPUR tabs in, wait 30 minutes and are good to go. Water container from REI for $6.95. This entry was posted in Backpacking, Cooking, Gear Reviews, Water Treatment on September 9, 2006 by brett. After a few days in the wilderness you may get a little stinky. Dr. Bronners soap is a good way to get clean and if necessary help clean your dishes. It&apos;s environment friendly and bio degradable. We use this soap very sparingly. 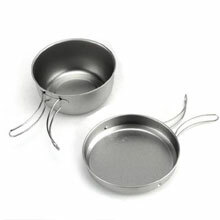 As we eat freeze-dried meals, we almost never need it to clean pots and pans as our pans mostly heat water and hold the post-cooked food – so we never get stubborn burned bits. Remember – never use soap directly in a stream or lake, even if it&apos;s bio degradable. Take a pan of water to a location at least 50&apos; away from the water source and wash there instead. We put our soap in these tiny little 0.3oz dropper bottles from Gossamer Gear. A 2-pack of bottles is only $3. With these bottles we can use just one-drop at a time, which is more than enough. People say you can clean your teeth with this too, but I&apos;ve never tried. Soap from REI for $3.75. This entry was posted in Backpacking, Cooking, Gear Reviews on September 9, 2006 by brett. Variety is the spice of life, and you don&apos;t get a lot with Ultralight freeze dried meals. We usually eat one freeze-dried meal each day for dinner between us, and they all need a little love to make them more edible. We take a small 1/4 oz. 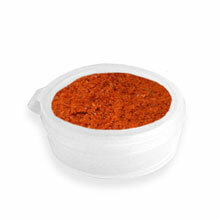 container and fill it with ground sea salt, ground white pepper and dried red thai chilies. Each ingredient separated by a tiny amount of saran wrap to keep them from blending. Armed with this little bag of punch we can fix any meal in any direction we want. Would never leave home without it. Container from REI for 40Â•et;. We started with the 3pc panset and tossed out the small pan. 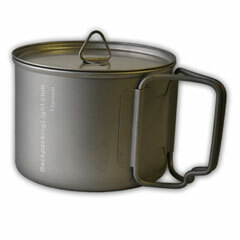 The large one holds two cups which is a about perfect for boiling water to dump into a freeze dried meal. It&apos;s also pefect for holding a bowl of granola, or making a cup of coffee in. Cups are for traditionalists! Pan and lid weighs in at 5 oz. Now, you could argue that two lids are redundant. But they come in handy as chopping boards, prep-area and if you need to keep two pots warm at once. So I take the extra 1.5 oz. hit. The set is available from Amazon for $34. This entry was posted in Backpacking, Cooking, Gear Reviews on September 8, 2006 by brett. It&apos;s a fork. Or a Spoon. Wait, no… it&apos;s a fork, I mean a spoon. Whatever, it&apos;s $8 and light as hell at 0.6 oz. 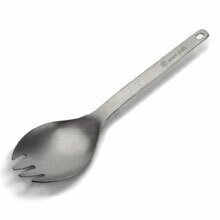 No backpacker should be alone in the wilderness without a Spork. Available from good old Amazon for $8. "Not a stove in the world will do you any good without fire wood". Same goes for your Snow Peak Stove. Useless without one of these. 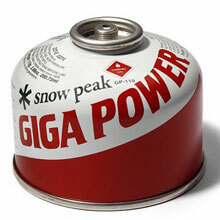 These 110g fuel canisters take 4 minutes to boil 2 cu. of cold water, and closer to 6 minutes in the later stages of the canister. To account for altitude and waste, I plan to get about 12 burns out of each canister. That&apos;s pretty decent for the weight. When full, it weighs 7 oz., but remember you&apos;ll be packing out 3.2 oz of left over metal once it&apos;s empty. Excellent for short trips, not so ideal if you&apos;re thinking of hiking Canada to Mexico via the PCT. Available from Amazon for $4. This entry was posted in Backpacking, Cooking, Gear Reviews on September 7, 2006 by brett.